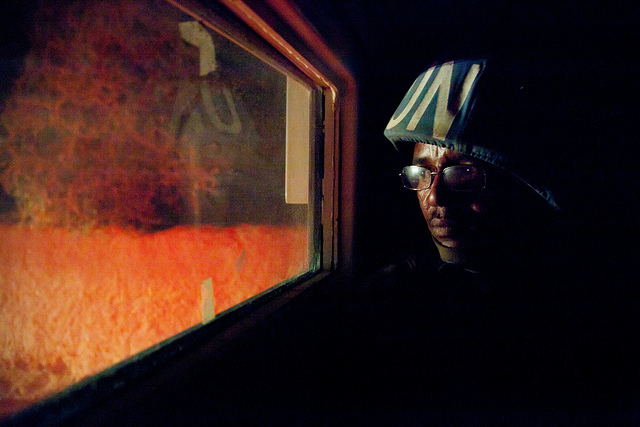 A South African peacekeeper with the African Union-UN Hybrid Operation in Darfur (UNAMID), Hermanus de Wee, in 2012. UN photo by Albert González Farran. With Iraq imploding, two new reports on armed conflict essentially ask: How are we doing? The answer: bad, and apparently getting worse. Syria is driving much of the dismal numbers. In 2012, two out of five people dying in battles died in Syria, according to a new report out by PRIO (I bet that number was closer to three out of five in 2013). A new report by the Council on Foreign Relations’ International Institution and Governance Program’ “Armed Conflict Report Card,” gives the US a C+ grade, a drop from its B- the year before. Well, you might be thinking: That doesn’t tell me much, and besides, weren’t there some success stories? 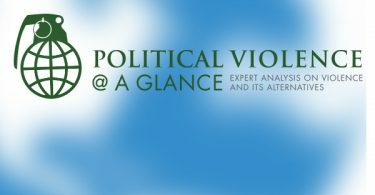 Aren’t there talks of pullouts in Afghanistan, a potential peace agreement in Colombia, and a possible rapprochement in Ukraine’s Russophile east? Indeed, you’d be right. Peacekeeping operations saw some positive improvement last year, especially the more robust mandates awarded to operations in Mali and DRC, allowing elections in the former country and the retreat of M23 rebels in the latter. Even drones made a cameo in a Blue Helmeted conflict this past year over the howls of some in Turtle Bay. Security Council Resolution 2086 aimed to make peace-building forces more proactive rather than reactive. And France won top honors for its interventions in Mali and CAR. But violence still dominates the headlines. There were 33 conflicts last year, one more than in 2012. That number is down 40% from its post-Cold War high, but the number of battle deaths is steadily increasing. Syria is the bloodiest war on record since the 1999-2001 war between Ethiopia and Eritrea. Worse, the presence of 25,000 peacekeepers has been unable to quell violence in South Sudan. And Department of Peacekeeping Operations fatalities reached their twenty-year high at 36 (which is partly a function of their more robust mandates). When it comes to failures of collective action, there is blame to go around. But between an isolationist congress and a president whose very track record depends on pulling us out of two wars, we can expect our grade on preventing armed conflict to keep falling. I’m genuinely skeptical of the actual ability of the U.S. to compel an end to the violence. In some areas we might be able to reduce it or we might not. But to really stop, say, the sudden increase in violence in Iraq? Sure, we just need a credible force to hold the border with Syria, the Iraqi government to give credible guarantees of political representation for the Sunnis and other minority groups, credible guarantees that neither side will engage in ethnic cleansing and mass killings of the other’s demographic, plus all that for Syria. And then we need to convince Saudi Arabia and Iran that one nation isn’t plotting to the detriment of the other when both in fact are doing just that. The U.S. might be a superpower, but that hardly means it’s omnipotent.